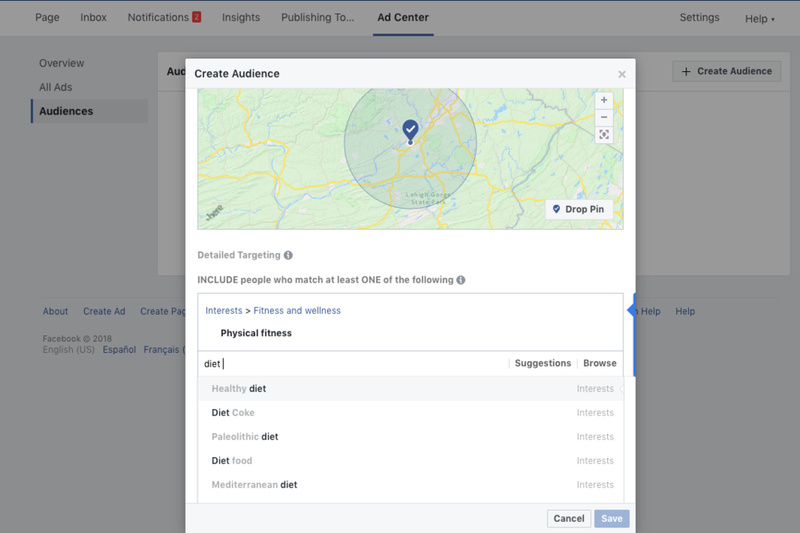 Looking to crush your Facebook Ads in 2019? With over 1.59 billion monthly active users and in-depth targeting features, in addition to Google, Facebook is one of the best platforms to find qualified leads. However – as with any kind of marketing campaign – how well your Facebook ads perform is dependent on whether or not you have a winning strategy. Without the right strategy, your advertising budget could be going down the drain. That’s why we’ve put together our guide to the top 5 Ways to improve facebook ad conversion rates this year! It might sound like a given, but creating and presenting great visual content to attract your user’s attention is at the bedrock of all social ad conversions. It only takes 2.6 seconds for a user’s eye to choose where to land on a webpage. The use of eye-catching imagery and video content increases the chances their eyeballs will land on your ad and engage with it further. Most first impressions are informed by design, so treat visuals as you would a handshake. Don’t overload images with text. In fact, Facebook recommends you use text sparingly in images, if at all. Instead of crowding visuals with text, consider moving copy to the designated text area. If you must include text, use Facebook’s Image Text Check tool to get a rating. Size to spec. Low-res visuals reflect poorly on your brand. Make sure that your publishing high resolution imagery at the correct/relevant sizing in order to make sure your assets meet the right size specifications. Use GIFs or videos. Opt for movement over static imagery to really capture the users’ attention. Don’t forget to test vertical videos for mobile devices as well. Unlike Google Ads, Facebook Audiences requires you to make judgment calls about your customers and to complete the research upfront before creating a campaign. Customers don’t come to your ads, you come to them. If you’re a new business and have little information surrounding your targeting parameters and/or demographic, start off with a broad awareness campaign optimized to the lowest CPC available. Here, you can start off with decent amount of impressions at a modest spend and gather some valuable engagement data, such as who is clicking on your ads and what people, if any, are converting. Facebook is an awesome tool, in that it allows you to upload valuable data, such as all your business’s customer email information and data on all of your purchases from the last 30 days. Google Ads and Bing Ads PPC campaign data (e.g., contact info). Competitive analysis (all advertising channels). Census for local demographic information. Real-time analytics on your site and marketing channels. Psychographic info of people who “like” your business. Something to also consider is that you can use specific pixels for people who visit your site and click on your ads and don’t convert. As with all advertising, the best way to find your customers is to cast a wide net, see where you failed and where you succeeded and keep fine tuning until you have an effective set of ads. The most important part of any campaign is audience creation. Unfortunately, poorly optimised targeting parameters could mean wasted ad spend. Think about it, a poorly timed event match could mean the difference between somebody purchasing new jewellery from your business close to their anniversary and somebody merely scrolling past it on any other day of the year. Worse yet, many businesses go too broad in their targeting and don’t properly account for device usage. To cut down on targeting errors and to hyper focus your parameters, create a buyer persona and then upload all of the relevant details you can into your custom audiences. Demographics (age, gender, race, income, location, etc.). Psychographics (interests, likes, and lifestyle). Behaviour (shares, comments, engagement, and purchasing habits). Facebook also takes granularity to the next level. For example, Facebook can help you target ads for baby equipment to people who were recently pregnant or had a kid. It bases this on personal information that its users choose to share and all of the above information, such as pages they’ve liked and what posts they’ve engaged with the most. With this, you can get your message on par with the people most likely to appeal to your business. Your ad creative and messaging will only apply to certain segments of your audience. If your ads are driving a lot of impressions but few clicks and even fewer conversions, consider implementing A/B split testing. Creating separate audiences based on different conversion goals and previous engagement can help you create hyper-targeted messages that resonate more. An ad is only as good as its landing page. When you’re determining where you’d like the conversion to happen, make sure you have everything in place to deliver on your ad’s promise. Implement Pixel. Once you’ve identified the page where you’d like the conversion event to occur, you’ll need to add the Facebook Pixel code to the page in order to track the event. For more on this, read Facebook’s Guide to Pixel. Aim for Continuity. If your ad promises one thing, make sure the landing page delivers. You don’t want to have a user looking for shoes land on a pants product page. Design and language should carry through here, too. Optimise for Apps. Since an increasing number of people are open to purchasing on mobile, you may want to drive people to your app. In that case, make sure you register your app and integrate with Facebook SDK. If you'd like to discuss how UNBXD could assist your brand or business with their Social Media Marketing requirements, get in touch with a member our team today.